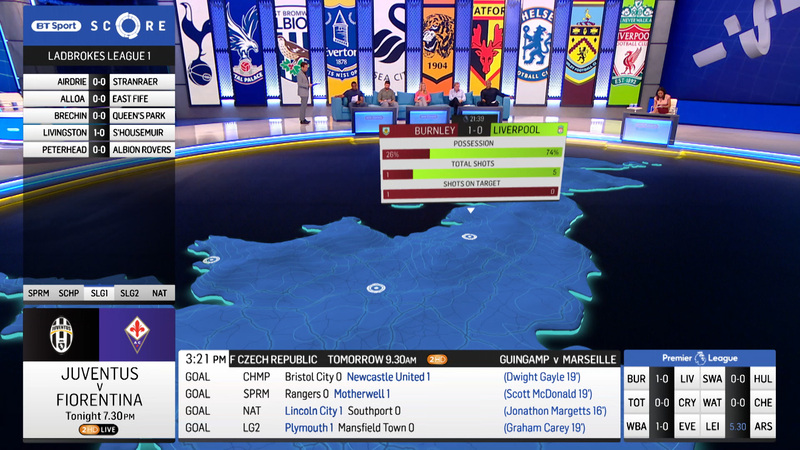 BT Sport’s flagship Saturday show BT Sport Score uses technology from every MOOV department. In addition to live graphics there’s content design, augmented studio graphics and social media apps to name but a few. The hard work of our software developers has created a smooth and streamlined workflow with clever automation and processing of Opta’s live match data to various destinations. 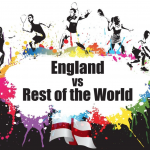 Our operators are able to deliver a full suite of graphics including vidi-printers, teamsheets, tables, fixtures, results and in-match alerts and match clocks for our other graphics. The MOOV design team help the studio look fantastic, generating content for the multiple LED banners and screens, whilst the AR department showcase MOOV’s cutting edge augmented reality software powered by Ncam and RT software. It doesn’t stop there, we also use Ericsson’s new analysis software Piero AR, in which things like a player’s last 5 penalties and ‘route to goal’ sequences can be augmented on the studio floor. Finally, to keep across all the scores and days action, we created an application for the presenters, which gives them a real-time view of the standings and match events across football leagues on their own tablet. This is arguably MOOV’s busiest show, with at least 8 members of the team working together on a single transmission.